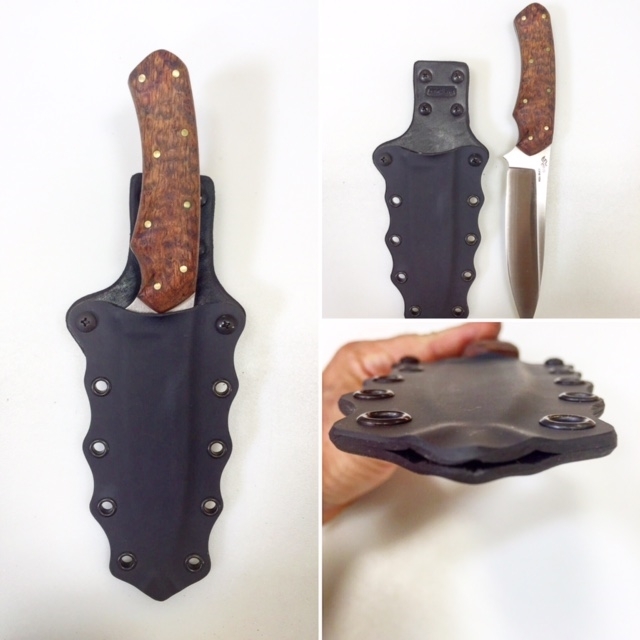 Our custom knife sheaths are just that, custom, hand made from the finest materials exactly how you want it. Even the nicest knives often don't come with a decent sheath. Thats because knife makers aren't sheath makers. There is an art to building a sheath that is not just functional but good looking too. We have a variety of options and styles to choose from or tell us what you want and create a unique sheath worthy of your finest blade. 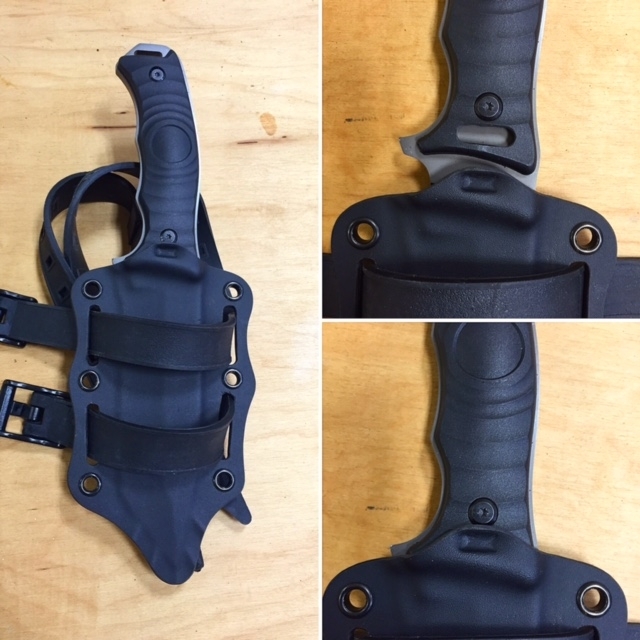 We also make multitool holsters and other unique carriers. 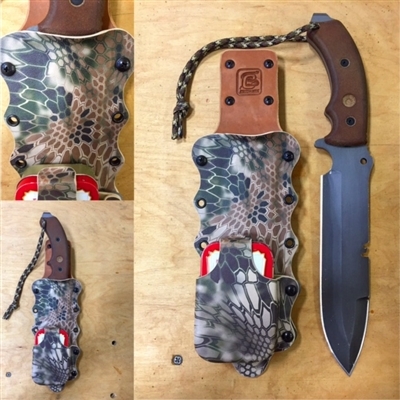 Because every knife is unique we will need yours in the shop in order to custom fit your sheath to it. Please contact us before mailing your knife to us to discuss the specifics and give you and estimate. Had Jason make me a sheath for an old Remington Rh-32 knife. Sent it off and had it back with in a couple weeks. The sheath it self is a masterpiece. Well built and protects the blade very well. Jason will be getting more business in the future!